Storing Cannabis Seeds: What Do You Need To Know? How long can you store cannabis seeds for? Is there a maximum amount of time they’ll remain viable? What is the best method of storing seeds? 1 How long can you store cannabis seeds? 2 What is the best method for storing cannabis seeds? 2.2 Can you store cannabis seeds in the freezer? How long can you store cannabis seeds? The consensus is that cannabis seeds should last up to a couple of years stored in a cool, dark place—or even up to 5 years if stored really well. In fact, even with beans much older than that, if they’ve been well stored, apparently it can be worth giving sprouting them a try—cannabis is pretty hardy. But we wouldn’t aim for that! Generally, the fresher the seeds the better, in terms of maximum chance of germination. Up to a few months is probably ideal. So, on the one hand, there’s no real ‘use by’ limit for cannabis seeds. But generally, the longer they’re stored, the lower the germination rate. However, up to a couple of years, the risk of non-germination is still pretty low. 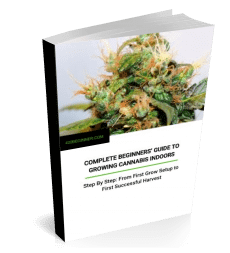 For our complete guide to buying seeds online, click here. Learn how to select a reliable seed bank and discover some great strains for beginners. What is the best method for storing cannabis seeds? 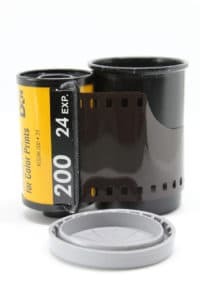 The best way to store cannabis seeds is probably in black film canisters kept near the back of the fridge. With either a little food-grade silica crystal package or a little uncooked rice at the bottom of the canister, to absorb any moisture and keep them dry. For extra airtightness, put the seeds and silica/rice in an airtight baggie first, and then inside the canister. So really any light-proof, airtight container will do the job. If you’ve bought your seeds, it’s likely they came already vacuum-packed, airtight, with a dessicant package. So if you haven’t disturbed the packaging, then use that and store it inside something lightproof. That should be more than good enough for a few months of storage. For longer term storage, vacuum-sealable, or heat-sealable containers are what you need. 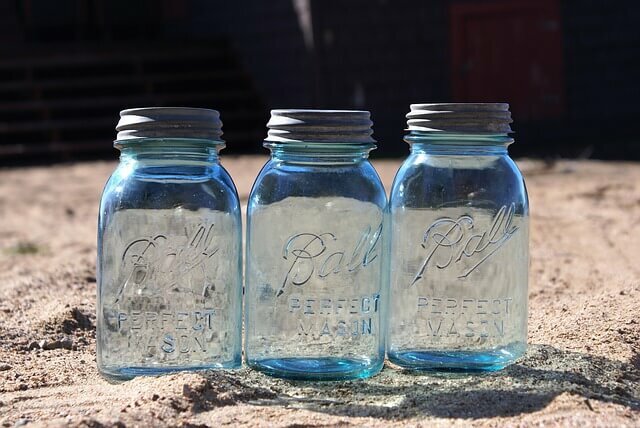 A glass mason jar would work, for instance, so long as you put the jar or the seeds inside something light-proof. Whatever container you use, though, the aim here is simply to keep out heat, light, oxygen and excess moisture—to slow down the life cycle of the seed to an absolute minimum, stop it ageing, stop it from beginning to germinate. Too much of any of those factors and the seed will attempt to germinate. Keeping the seeds nice and cool also helps stop them from drying out completely and prevents any bacteria from activating. All in all, the more you can do towards all of those aims, the better. Which is why storing your container towards the back of the fridge is best, where it’s least moist and temperature is most stable. And, in most fridges, the veg shelf is usually where the temp is closest to ideal. Yep, opening and closing the fridge door can create condensation, as well as temperature changes within the fridge. However, if the container/package is well sealed, condensation shouldn’t be a problem. And as we said, towards the back of the fridge, changes in temp should be very minimal. Nonetheless, the frequent opening and closing of the fridge door is one reason why some growers recommend storing your airtight light-proof container in the freezer instead. Can you store cannabis seeds in the freezer? Lots of people advise that when storing seeds for longer than a couple of years, put your container in the freezer instead of the fridge. However, many others argue pretty convincingly that unless you have the kind of freezing equipment that most home growers don’t, then freezing damages cells—which kind of makes sense. The advice is to make sure not to defrost the seeds until you need to use them—the more often they’re defrosted or partially unfrozen the less likely they are to germinate. And leave them in the container at room temperature to slowly defrost when you do want to use them. Those who do argue for freezing say freezing just the once shouldn’t do too much damage. Temperature and humidity are the most important factors affecting seed quality during storage (humidity being the more important of these). Marijuana seeds absorb moisture from wet atmospheres and dry out when placed in dry atmospheres. Seed storage life is doubled for every 1% decrease in moisture content. The problems of maintaining seed germination [i.e. viability] increase with seed moisture content. Heating is caused by the natural respiration of cannabis seeds, of fungi and bacteria in and on the seed which may build up rapidly in a moist environment. High moisture levels and high temperatures will kill cannabis seeds as quickly as an invasion of micro-organisms and insects, so be careful. Stored seed life is doubled for every 41ºF (5ºC) reduction in storage environment temperature. Refrigeration to at least 41ºF (5ºC) is recommended (yes, this is slightly warmer than regular fridges). The cooler the temperature the more slowly seed vitality declines. This rule apparently continues to apply even at temperatures below freezing. At 41ºF (5ºC) and below, insects become inactive. When the above storing conditions are met, storing cannabis for five years with high germination success rate is entirely doable. Similarly, Jorge Cervantes’s Grow Bible recommends keeping humidity below 5% and keeping temp at 35-40ºF (2-5ºC). Make sure to label the container/package with strain, quantity and date received to make storing easier. It can be very easy to forget details like that later—or even what was in the container in the first place! Got any more questions for us? Email us at maryjanefarmer[at]420beginner.com. We’re always happy to hear from readers—and your questions really help us to write more of what you want to read about.